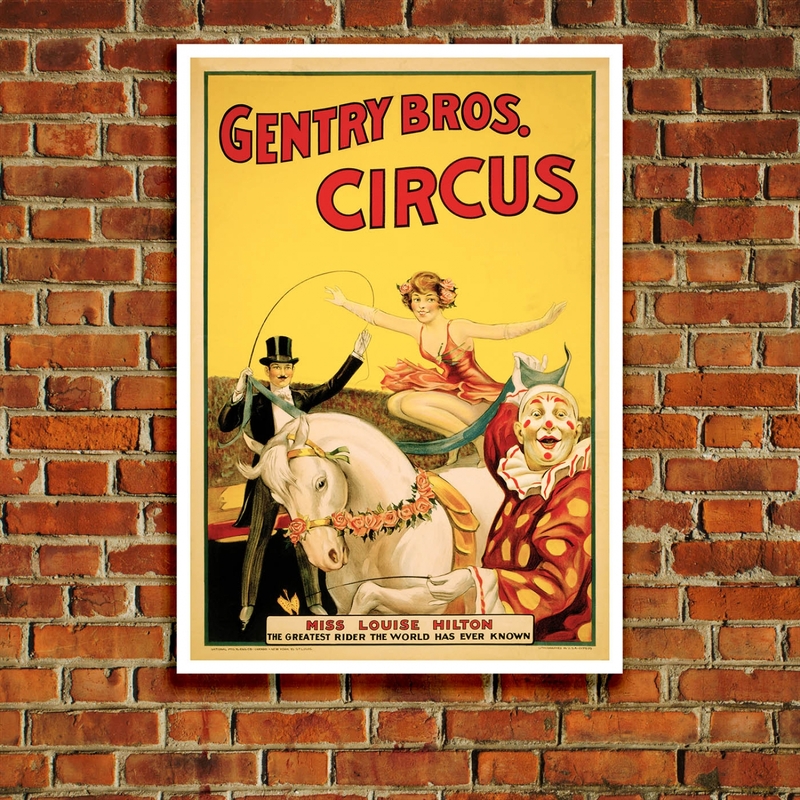 Gentry Brothers Circus, Louise Hilton, "The Greatest Rider the World has Ever Known." 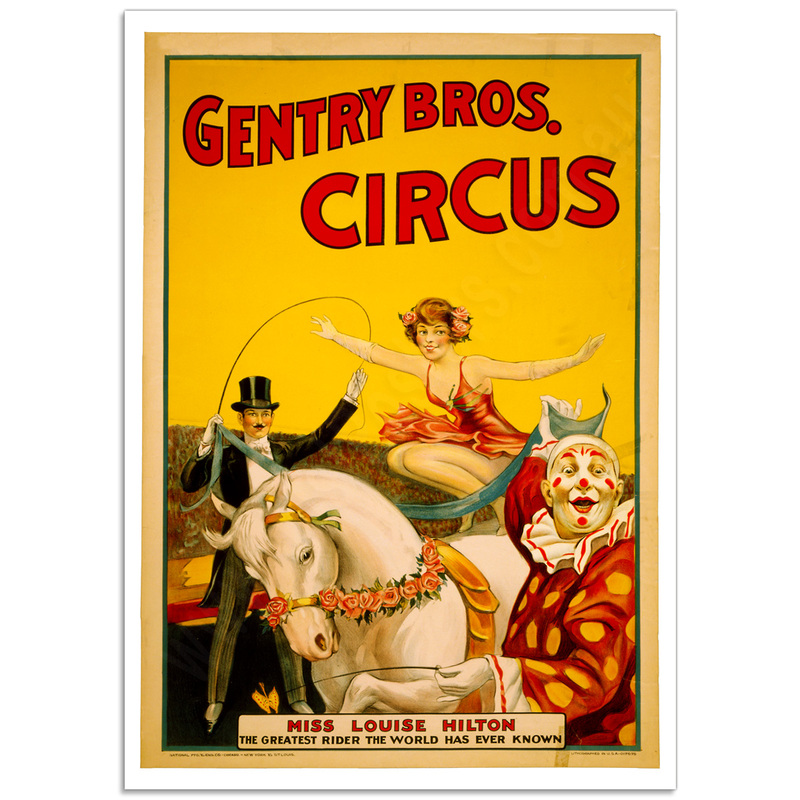 Gentry Brothers Circus, featuring Miss Louise Hilton; this magnificent Circus Poster shows Louise Hilton balanced on a white horse, about to hurdle over a scarf held by a bamboozled clown and a ringmaster.Gentry Brothers Circus was formerly known as "a dog & pony show" owned by Henry, Frank, Walter and J.W. Gentry from Bloomington, Indiana. 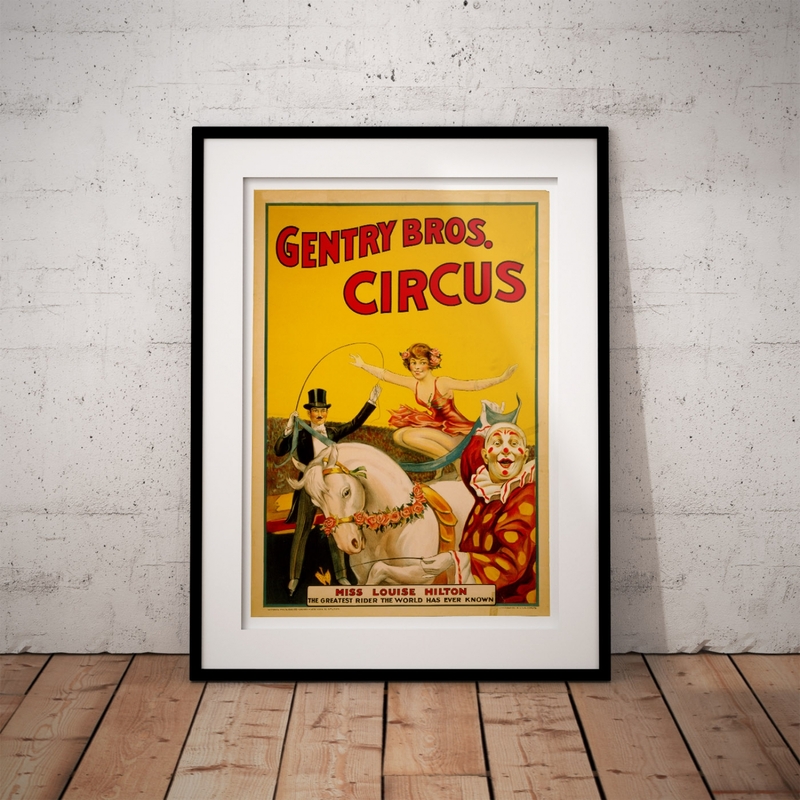 The circus was in business between 1887 and 1922. 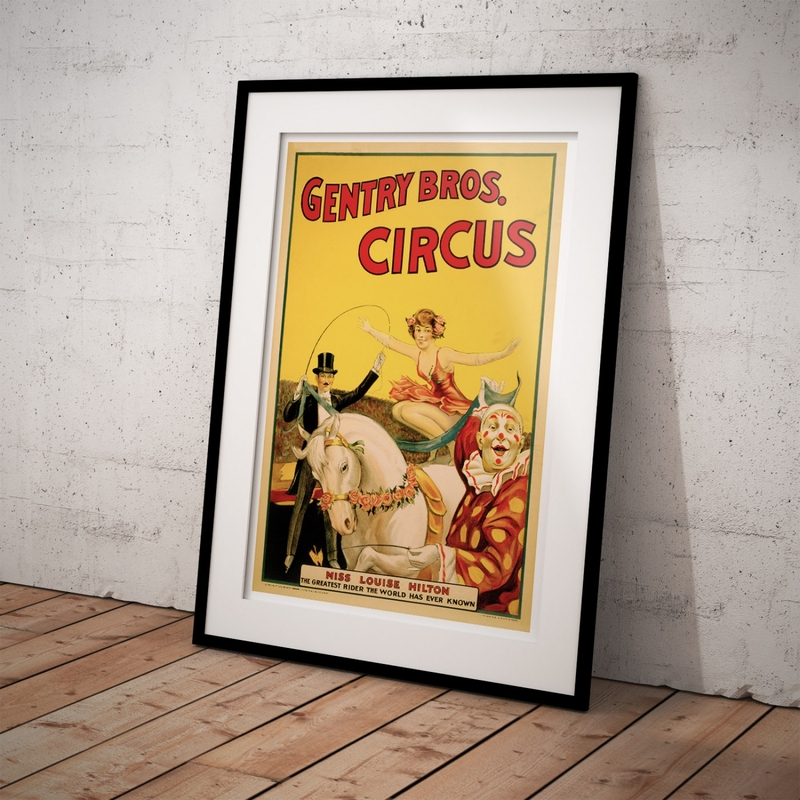 The 'Gentry Brothers Circus -Miss Louise Hilton' Poster print is a reproduction of a Vintage Circus Poster. 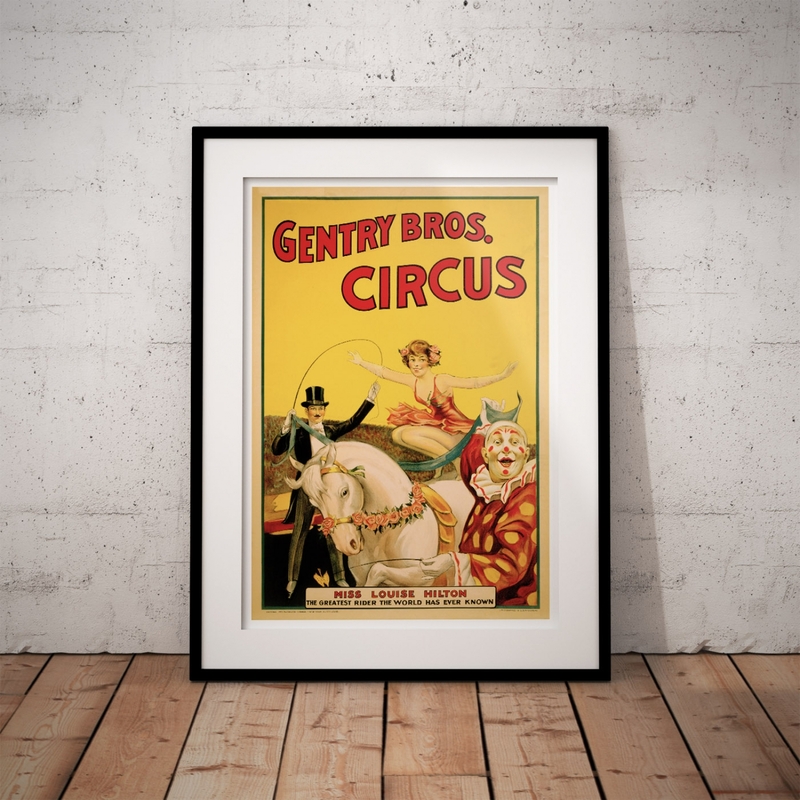 Available Poster sizes: A4 [210 × 297mm], A3 [297 × 420mm], A2 [420 × 594mm], A1 [594 × 841mm] and A0 [841 × 1189mm].